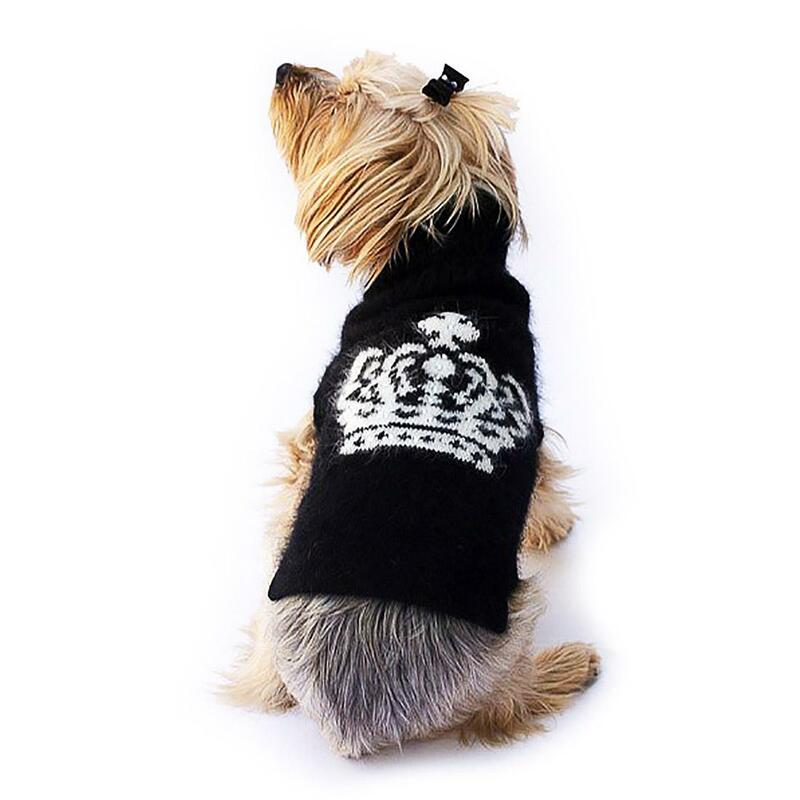 Give your pup an elegant look this winter with the Diana Luxury Rhinestone Crown Dog Sweater in Black and White by The Dog Squad. The Dog Squad’s Diana Luxury Turtleneck Dog Sweater features an Angora blend knit in black and white with rhinestone accents. 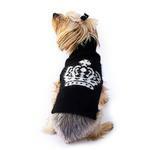 Your pup is sure to get noticed during the colder months wearing this elegant dog turtleneck sweater. The sweater comes in sizes XXS, XS, S, and M.
Sure to turn heads, especially when your fur baby pops out of one of our carriers! Hello…. Love it and make it last by hand washing cold and laying flat to dry. The harness and leash I ordered are adorable and of very good quality. The sizing and fit are correct too.